Dubbed a "poet of the ordinary" by the Los Angeles Times, photographer Keith Carter came of age during the turbulent '60s and '70s, developing a singular, haunting style that captures both the grit and the glory of the human spirit. Showcasing a broad array of his work--which has been shown in more than one hundred solo exhibitions in thirteen countries--Keith Carter: Fifty Years spans delicate, century-old processes as well as digital-age techniques to yield an enduring vision of the world around us. The interlaced images in Keith Carter: Fifty Years feature contrasts of natural light and darkness as we explore the mythos of time and terrain, the familiar and the magical, and the varied creatures that inhabit our earth. 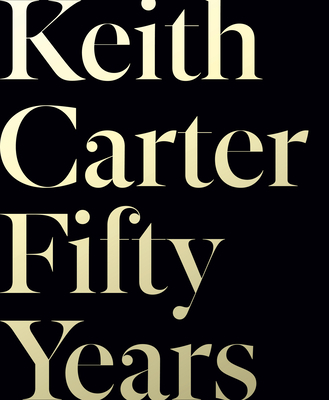 The human form--depleted or energized, solitary or with a beloved partner--becomes a meditation on aging and loss, which have affected Carter profoundly in recent years. Yet these losses have spurred in him a sense of discovery, not despair. Rather than arranging the works chronologically, Carter chose to group them into correlations, echoing the kaleidoscopic effect of memory. The result is mesmerizing; each artifact draws us into an experience of intensity and wonder, enduring long after the page is turned.